Blossom Bucket Believe Resin Sign Block with Santa Claus. 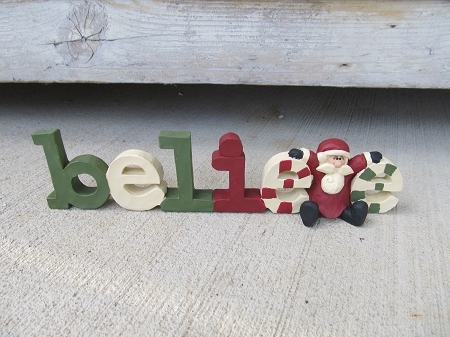 Believe resin sign with Santa. Great Christmas colors of red, green and white letters. Nice larger size piece. 9"x 2 1/2". Blossom Bucket always has nice quality resin pieces that are always adorable!